Visit Skiathos Greece How To Get Here. Olympic Airways operate flights to Skiathos throughout the year. Most international visitors to Skiathos arrive by air. Charter flights to Skiathos are available from many UK airports as well as from most of northern Europe and it is possible to book a seat on these flights either independently or as part of a package holiday. However, these flights typically only operate during the summer holiday season of April until the end of October. 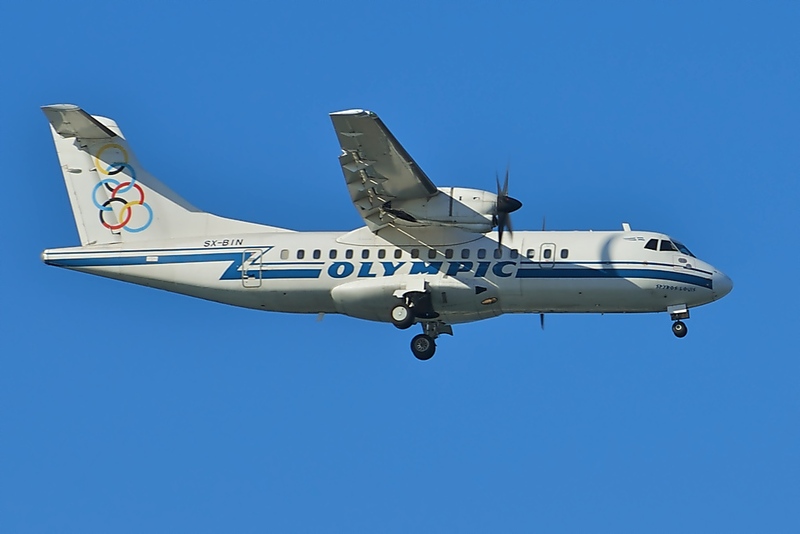 Olympic Airways operate flights between Skiathos and Athens throughout the year. As such it is possible for international travellers to fly to Skiathos all year round with the help of a connecting flight. Skiathos airport has one of the shortest runways in Europe and has the Aegean sea at either end. The runway's short length means that many departing flights choose not refuel in Skiathos, preferring instead to refuel in Thessaloniki in order to minimise the aircraft's take-off weight. This can mean adding approximately 25 to 60 minutes to the flight time. Skiathos Airport's terminal building is quite small and has a limited range of facilities. Many domestic visitors arrive in Skiathos via ferry or hydrofoil. Car ferries operate between the Greek mainland with services being available from Volos and Agios Constantinos. The service from Volos is operated by Hellenic and operates twice daily, with the journey time being approximately 2 and a half hours. Minoan Lines operate the service between Agios Constantinos and Skiathos. This is a longer crossing, with the journey time varying between 3 to 4 hours. Flying Dolphin hydrofoils operate the same routes as the car ferries. These passenger-only services take roughly half the time to make the same crossing. These services operate daily. All of the above services continue on to the neighbouring islands of Skopelos and Alonnisos.